Today just about everyone is writing about Facebook and Twitter. I have to tell you... I'm a skeptic. It's not that I don't think that both are great for communicating, but just like Myspace, are they really all they're cracked up to be from a marketing perspective? I recently spoke to a customer who said, "I love facebook... 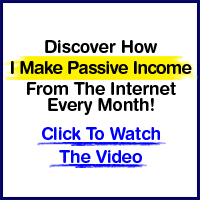 I spend about $5,000/month and pay only $0.50 per click." When I asked him how many sales he had generated, his answer was, "I don't know." Even though it was a single conversation, I have a feeling that many marketers who think that Facebook and Twitter are such good ways to promote themselves have little or no data to confirm their success. Or, as the example above shows, think success equals traffic. To be successful with your online marketing, you need to find new sources of traffic - this is true. However, you must focus on the return of your investment. Are you advertising on Facebook? Using Twitter to build a list of followers? If you are, than ask yourself, is the return I'm getting greater than my investment in time and/or money? My personal perspective, as I learn more about Facebook and Twitter is that it's great for sharing information about you, your products, and or services. However, if you want to sell directly, you'll be greatly disappointed. Facebook and Twitter may not result in direct sales, but they do provide another brand touchpoint that is easy and inexpensive for marketers. Good point. There are 2 very different meanings when someone says they like a particular social media, like Facebook, but liking it doesn't usually equate to having that result in business results. While some may act like they can ethically exploit things, often it's the kind of trend that would turn social media into a sea of commercials rather than connections. There are better ways. great info! i used to be confused with the facebook and twitter marketing. you post even though brief,it did help, thanks. I myself have always wondered what's the appeal of "the book" or Twitter. To be honest, both seem to share more about their users than I think anyone would really care to know. I come from a generation the absolutely loves to talk about one subject, and that is OURSELVES. These things were designed for us to go on and blab about what we had for lunch, share new pictures of our keg stand and share information for other people about our all-around awesomeness and how to be more awesome like us. This is why advertising will fail on these sites: they were created for self-centered people, like myself, who do more updating of their own "awesome page" than they spend looking at other "awesome pages" or something as "unawesome" to advertising. Looking for specific information on how to use twitter and facebook to build our Ballroom dance studio. I'm on Twitter and Facebook, What now? Any articles or practical information?